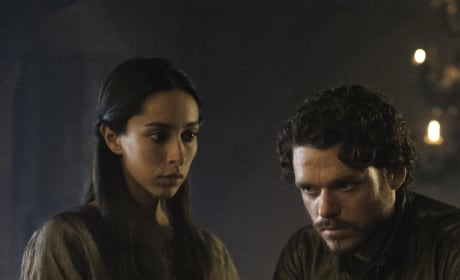 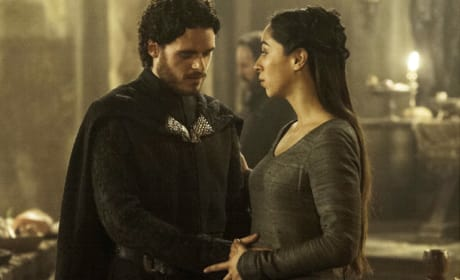 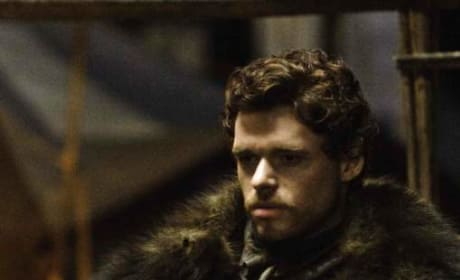 Here's a look at a menacing Robb Stark. 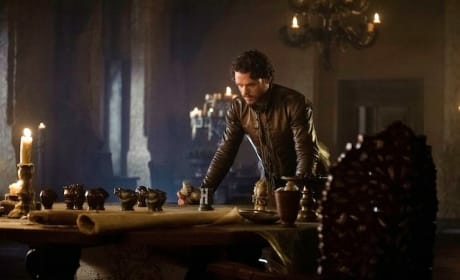 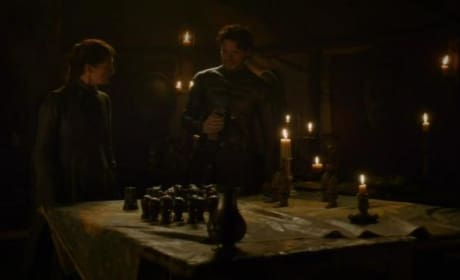 It's courtesy of the season two premiere of Game of Thrones. 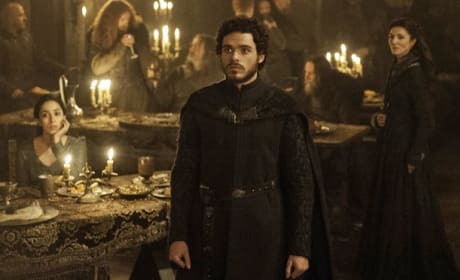 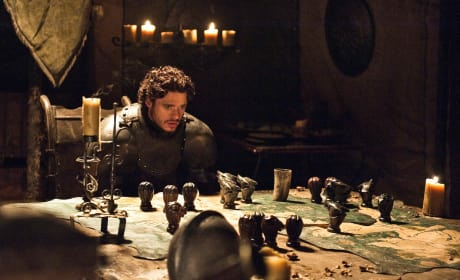 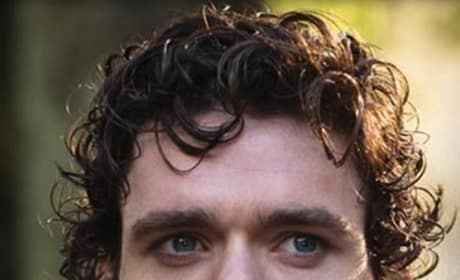 A picture of Robb Stark as portrayed by Richard Madden in the Game of Thrones series on HBO.